Following this, the tikka ceremony took place in Pakistan in December, last year. It is believed that this is the first time after partition, that the tikka ceremony took place in Pakistan. And that made this wedding all the more special. As the customs do not allow them to marry within their own family, the suitable matches are hence found from India. And, that is how even this match was fixed! 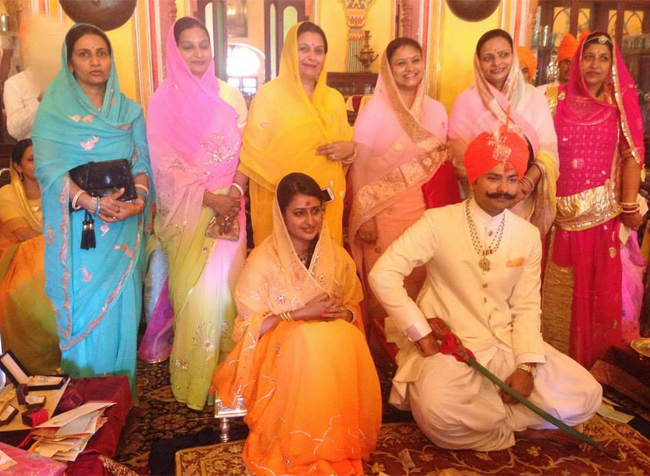 The gorgeous bride, Padmini Singh Rathore, hails from the royal Kanota family of Jaipur district. Her father, Man Singh, owns the famous heritage hotels, Narain Niwas Palace and Castle Kanota. She is an alumnus of Maharani Gayatri Devi School, Jaipur and St Bedes College, Shimla, and specialises in graphic designing. 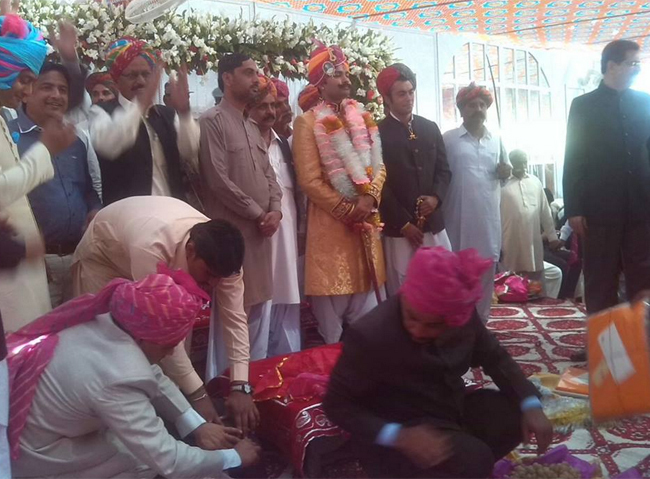 The groom, Kunwar Karni Singh Sodha, belongs to the leading political and royal family of Umerkot district of Sindh, Pakistan. He graduated from Karachi and earned a degree in law from the University of London. His family owns the Umerkot Fort, which is famous for being the birthplace of the Mughal Emperor, Akbar, as the then Sodha ruler of Umerkot gave refuge to Humayun and his wife, after he was defeated by Sher Shah Suri. 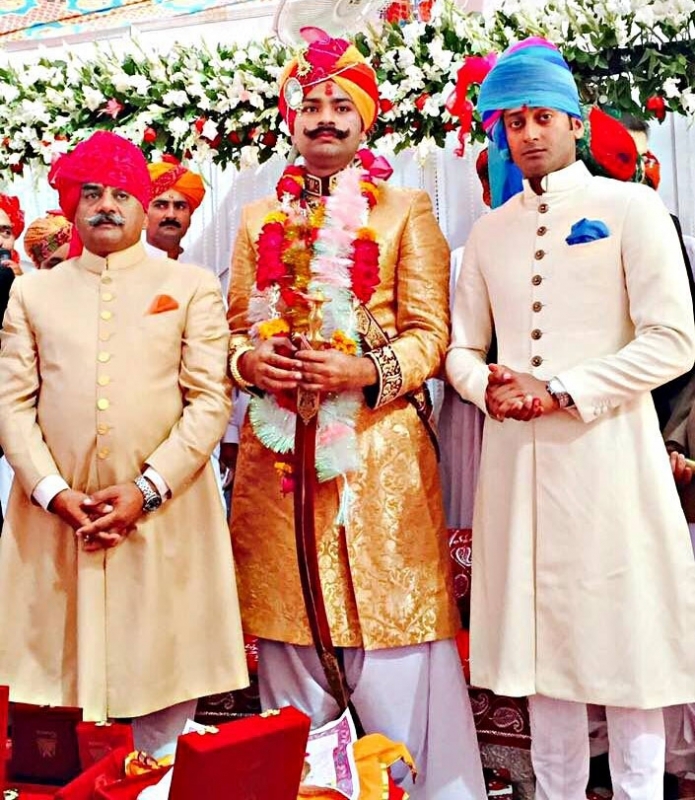 Karni Singh’s father, Rana Hamir Singh, is a renowned politician in Pakistan. 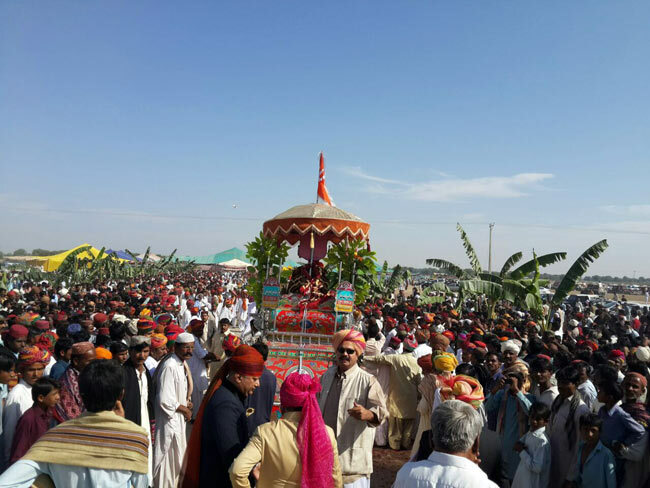 The baraat arrived from the other side of the border along with over 100 people. 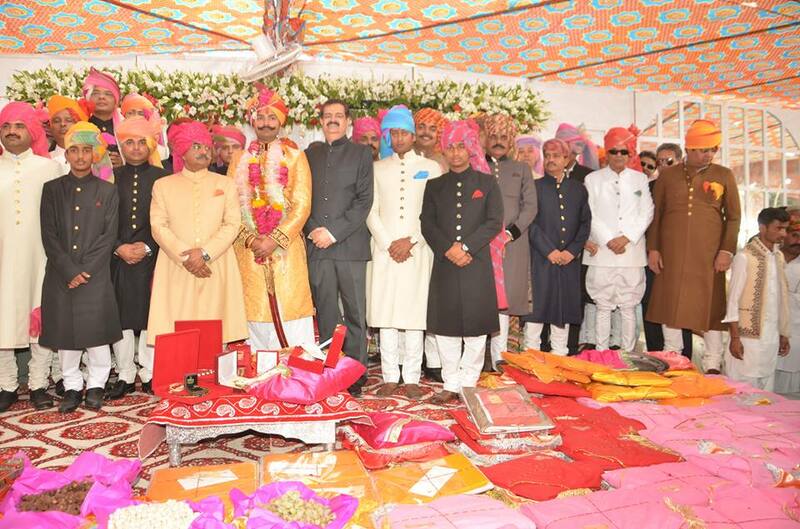 They were welcomed in a truly royal and grand style and were served a large variety of Rajasthani and Mughlai cuisines. 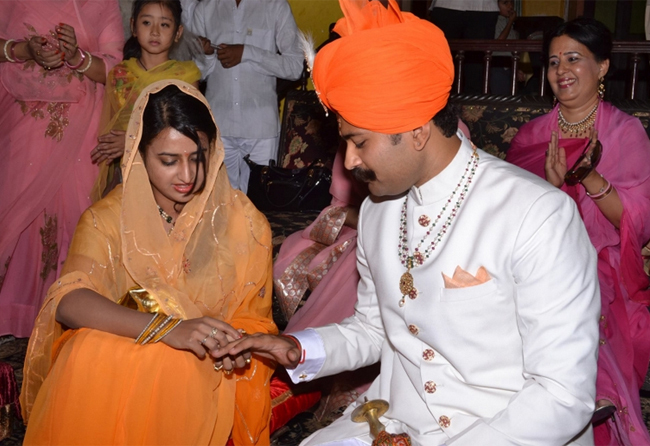 The couple took the wedding vows at the royal Narain Niwas Palace. The bride, Padmini, said to a leading daily, “It is an arranged marriage and a girl takes time to acquaint herself with her in-laws and husband. 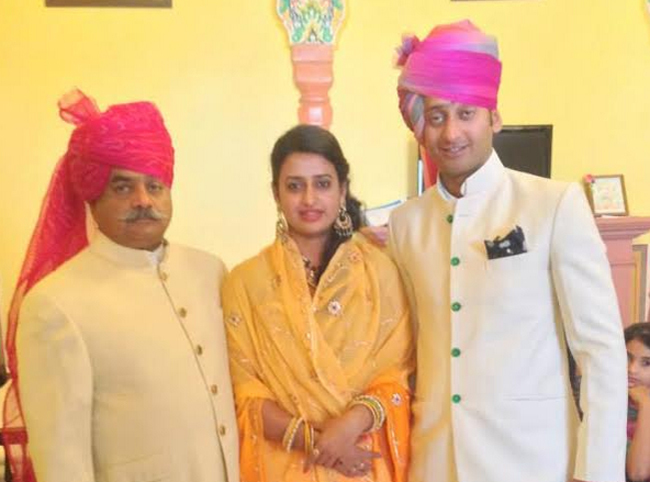 I will settle with my husband at Umerkot in Pakistan after I get the visa.” As per the reports, the groom’s family will stay in Jaipur till Holi. Even though their marriage was arranged by the families, this beautiful couple truly symbolised love and harmony between the two nations.